The Downing family, notably William Edmund Downing, had an association with the village of Llanbrynmair in Montgomery from about 1890 to 1910. The Lodge at Llanbrynmair features in a number of photographs. Some seem to show it under construction in about 1904. Others show the Downings outside cottages preparing to go hunting. All in all we have a collection of 40 early photographs in and around the village in this period taken by Mary Downing or collected by her from her relatives Ida Downing or from the Grazebrooks. The local landowner Sir Watkyn Wynn is frequently present with his Pointers. 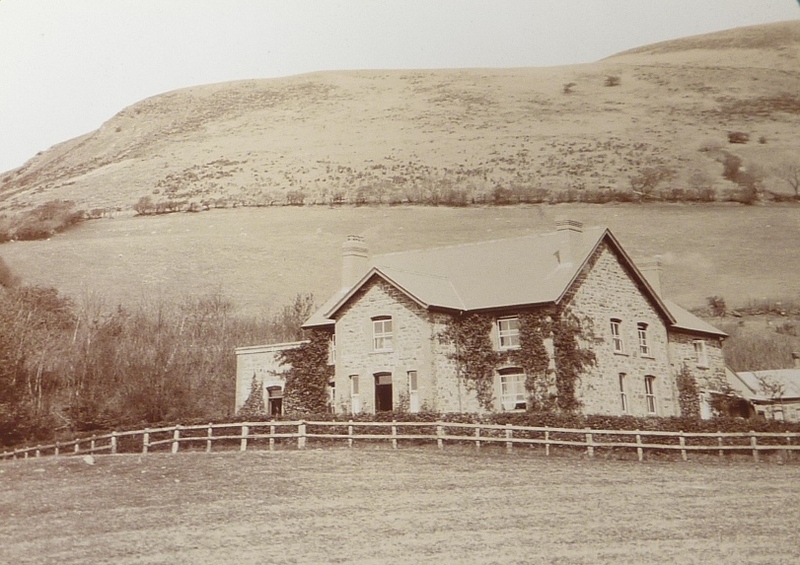 It is presumed that the Lodge was sold (or rental ended) around 1912 and the Downing hunting activity moved to Beacon Lodge, some thirty miles further south, where the country was more wild and presumably provided a better shoot. After this, it looks as if visits continued to Llanbrynmair and Lake Bala for fishing. However, William Edmund Downing’s half brother Thomas Lee Downing seemed to prefer Ratlinghope in Shropshire. 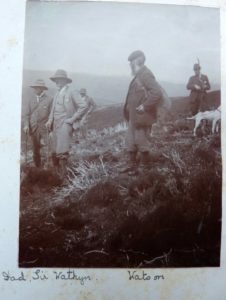 The picture to the right shows William Edmund Downing (Dad) and Sir Watkyn, together with a gamekeeper Watson. 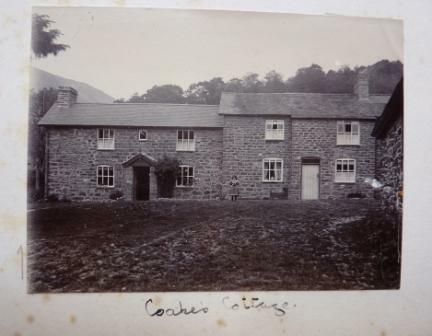 Mary took a number of pictures of the village (the Plas and Coakes Cottage) and Sir Watkyn’s pointers – together with a number of beaters and members of the shooting parties.